Tuesday, February 12, 2019 by teammarcopolo in History, History Schmistory, Learn! 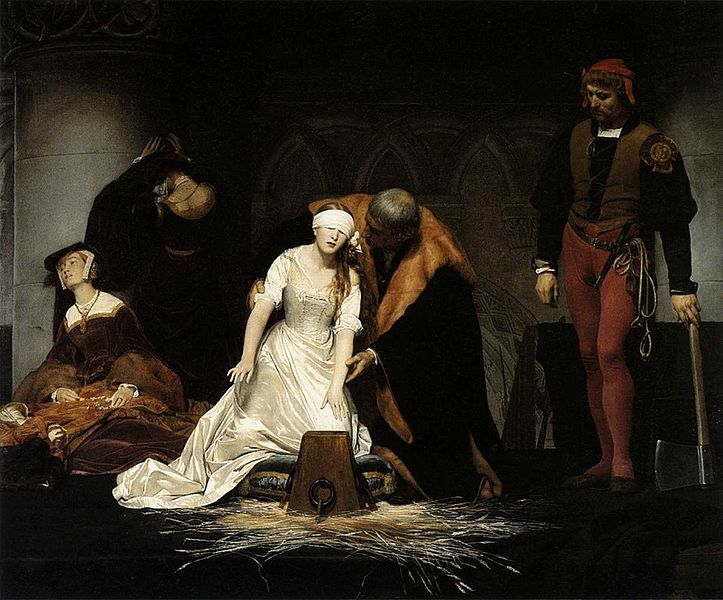 1554: Lady Jane Grey is beheaded for treason, only the year after reluctantly claiming the throne of England for nine days, the shortest stretch on the throne in the history of England. Jane was known as one of the most intelectual women of her time, fluent in French, Italian, Latin, Greek, and Hebrew. She was certainly worthy of the throne and would likely have been one of England’s most upstanding rulers. But “Bloody Mary” would have none of it. 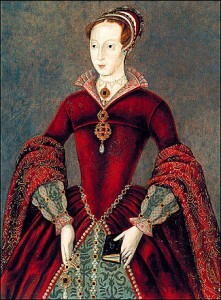 The Princess, Mary Tudor rallied an army of supporters to march into London and usurp the throne for herself. Unfortunately, Jane’s supporters were lacking the spine to stand up to Mary, and one by one they swore allegiance to her. Mary wasted no time, locking Jane up in the Tower of London for political expediency. Since Jane was also a Protestant, Mary had no trouble elevating her sentence to treason, and a few months later, one of England’s most distinguished female minds was gratuitously chopped from its body. That’s seriously messed up. But really that’s the only thing Bloody Mary was good at. Previous History Schmistory: February 12. Don’t Scream! Next Valentine’s Day Around the World Video!